Towels are required in all Fitness Zones but don’t worry, the SRC has got you covered! Workout size towels are available free of charge, just pick one up at the Pro Shop or any of the Fitness Zone counters. 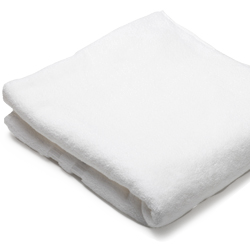 Towel service is available for pool/shower-size towels for a small fee. Enrollment into the towel service can be done at the Membership Services Desk or the Pro Shop. Towel service is available on a term basis for members with a term membership. Please see the full list of rules and regulations for towels below.